Home » Entertainment » Pageants & Beauty » Travel & Tourism » Costa Maya Festival® presents Miss Guatemala! Newer: » Where are they now? Flashback Friday: Maritza Rivas! The line-up is complete as Guatemala has unveiled its contestant for the Reina de la Costa Maya pageant, and she is the lovely Keyla Bermudez. Hailing from Livingston, Guatemala, Keyla is 22-years-old. 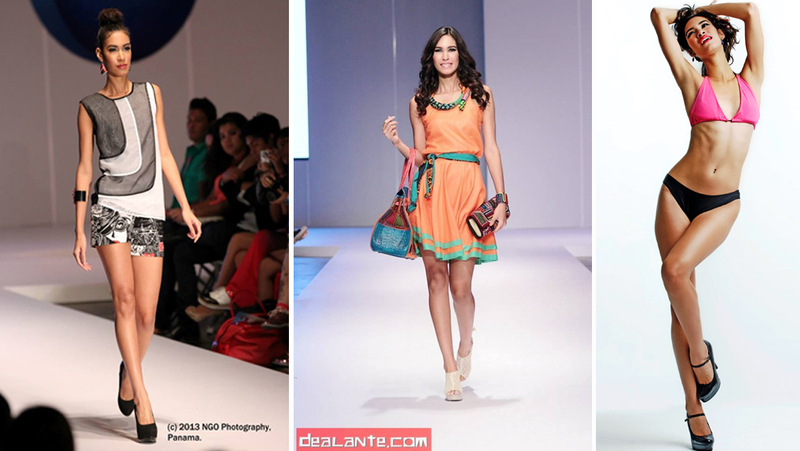 She is currently Miss Guatemala World, as well as an aspiring Certified Public Accountant. The 5’7” statuesque brunette enjoys reading and dancing, and is looking forward to making her mark at the Reina de la Costa Maya pageant this year. Set to bring much entertainment and glamour to the stage on August 7, 2014 are Miss Belize Grisel Carballo, Miss Costa Rica Raquel Guevara Avila, Miss El Salvador Ana Graciela Hasbun Boscaino, Miss Guatemala Keyla Bermudez, Miss Honduras Maria Jose Alvarado Muñoz, Miss Mexico Elisa Gomez, Miss Nicaragua Katherine Tapia, and Miss Panama Karol Salinas. The spectacular pageant will showcase dance and modeling skills, cultural costumes, elegant gowns, and of course, the beauties will be answering some tough questions for the judges tasked with choosing the next representative for our Costa Maya! After the spectacular show is over, and a winner has been chosen, attendees are invited to stay for the After Party Under the Tent, where the winner and participants will be dancing and partying with the crowd to the tunes of Miami’s DJ JAX! Costa Maya 2014 is certainly heating up, and the entertainment factor is set to HIGH for 2014 - you do not want to miss this one! Make those plans for August 7th – 9th and enjoy the great music, dances and performances that are being planned especially for you! Grand Sponsors: Belize Tourist Board, Honorable Manuel Heredia, San Pedro Town Council. Diamond Sponsors: Jose Luis Zapata Photography (Official Photographer), Designing Solutions, Ramon's Village Resort (The Official Resort of Miss Costa Maya Pageant 2014). Platinum Sponsors: NICH, Reef Radio & Reef TV, Great Belize Production, Love FM/Estereo Amor. Gold Sponsors: Ambergris Today, The San Pedro Sun, Kristal Shipping, Milo's Center, Moon Dancer Boutique, Flowers Salazar & Associates. Silver Sponsors: San Pedro Belize Express, Tropic Air, Moncho's Golf Cart Rental, Fiesta FM, Radio Oye, Cruise Solutions, Wine De Vine, Maya Island Air. Steel Sponsors: Zen Arcade, Caribeña Enterprises. Bronze Sponsors: Victoria House, Refri-Tech Belize, Wally Electrical, Seaduced by Belize, Ina's Decoration, Atlantic Bank. Friends: Saga Humane Society, Captain Sharks Marine, Mr. Eddie Alamilla, Boaz Cart Rentals, Castillo’s Hardware, ABC Preschool, Neon Plastics. Hotel Sponsors: Xanadu Resort, Victoria House, Caribbean Villas, Mayan Princess, Holiday Hotel, Blue Tang Inn, Corona del Mar, Sun Breeze Hotel, Sun Breeze Suites. Restaurant: Rainbow Bar & Grill (Caye Caulker).